The Sea Around Us and its worldwide network of collaborators have been involved from the mid-2000s to early 2014 in a massive project of ‘catch reconstruction’, devoted to estimating the actual – as opposed to officially reported – catches of the marine fisheries of all countries and territories of the world. These reconstructions, of which well over 200 were completed, used a combination of quantitative and qualitative (scientific and local knowledge) fisheries-related data, to recover components missing from the official statistics, e.g., discards and/or recreational and subsistence fishery catches. 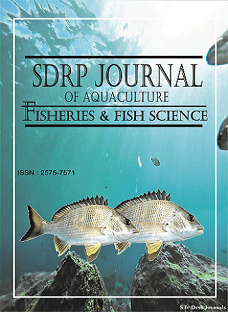 The challenges lie in finding and using a combination of qualitative and quantitative information from published scientific and national literature to assemble comprehensive time series of catches for the period 1950-2010 for a defined Exclusive Economic Zone. The opportunities lie in using this knowledge to better understand our impact on marine fisheries resources and to formulate decisions and pursue policies to minimize negative ecosystem impacts and ensure sustainability. Such reconstructions have already been published in different journals. However, many of these are still in the form of working papers or reports, for example for the Philippines, where the official statistics for industrial (‘commercial’) fisheries may be adequate once corrected for obvious problems, but the artisanal (‘municipal’) fisheries are still not reliably estimated. This research topic is thus being opened for the description of national catch reconstructions. In particular, studies that present methodologies which may be adapted to solve fisheries catch statistics problem, which allow independent estimation of artisanal catch estimates, for example, based on observed daily catches of artisanal fishers, multiplied by annual numbers of days fished and time-series of number of fishers is needed. Similarly, subsistence catches (i.e., catches primarily destined for household consumption), notably reef gleaning, and marine recreational fisheries, which are not covered at all by official statistics, should be given emphasis. Studies presenting independently derived fisheries statistics data on a specific body of water (for example, the Georgia Strait in British Columbia, Canada) or on the coastal region to which this body of water belongs (for the example, Gujarat State in India) will be considered. Studies that present syntheses of the status and/or history of such fisheries (and which may cover a long time series) are equally considered.